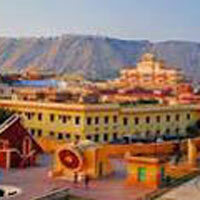 Arrival Jaipur by Airport / railway station pick-up and proceed to hotel check-in. Evening visit Birla Temple and Chokhi Dhani. 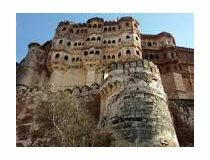 Overnight stay at Jaipur. 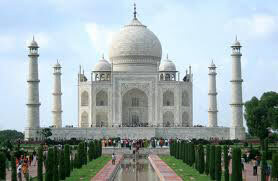 After B/F full day Jaipur sightseeing (visit City Palace, jantar Mantar, Amber Fort and on the way Hawa Mahal and Jal Mahal. Overnight at hotel. 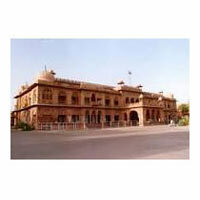 After B/F proceed to Bikaner. 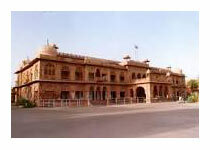 Bikaner local sightseeing (visit Junagadh Fort, Museum, lal Niwas). Overnight at hotel. 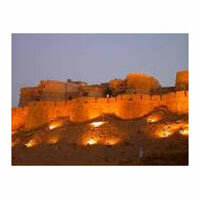 After B/F proceed to Jaisalmer check-in at your hotel. Overnight at hotel. 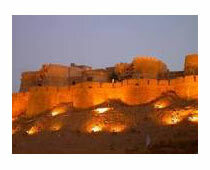 After B/F Jaisalmer local sightseeing (visit Patavo Ki Haweli, Sonar Fort, Nathmal ki Haweli etc). Evening visit Sam Sand Dunes. Overnight at Swiss tent. After B/F proceed to Jodhpur and check-in at your Hotel. 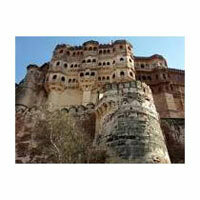 Jodhpur local sightseeing (visit Mehrangarh Fort, Umed Bhawan, Mandor Garden). Overnight stay at hotel. After B/F drop at Jodhpur railway station or Airport. 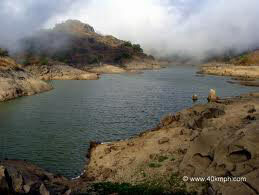 25% extra charges for Christmas & New Year.